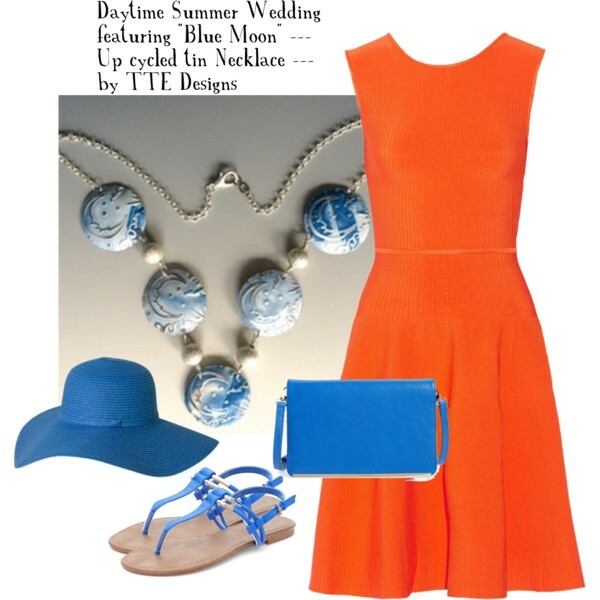 Perfect for a daytime, summer wedding. Opposites on the color wheel are guaranteed to catch the eye of all the other guests. Fresh coral orange with cerulean blue accents. This one of a kind "Blue Moon" embossed, up cycled tin necklace steals the show.